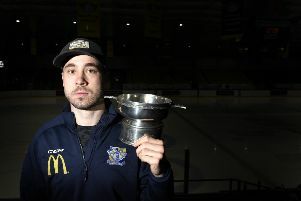 Fife Flyers' season came to a close last Sunday evening in Nottingham, Todd Dutiaume’s players having given a good account of themselves short-benched against the hosts of the EIHL’s showpiece play-off finals weekend. The most remarkable thing I noticed was, in a season of highs and lows, the fans and players seemed closer than ever going into the post-season games. One constant disappointment this season was the drop in attendances, mentioned frequently by Dutiaume in post-match interviews and FFP articles throughout the campaign. Given that attendances were averaging around the 1300 mark, which was similar to the club's maiden EIHL season, must be of huge concern to directors. How do we bring back the ‘Great Night Out’? So, with the dust barely settled, what has to be the clubs next priority is how to attract more people to the Auld Barn to grow the fanbase from the core support and start packing the barn regularly once more. Firstly, a returnee or two straight off the bat could immediately boost season ticket uptake. There is bound to be some players who have agreed to return next season. It would certainly help maintain the buzz that there is around the club at present. Traditionally, Flyers recruitment is fairly quiet until around June, but, in my opinion, you need to strike when the iron is hot, not once the season’s memory has long faded. Flyers are not a city-based team, granted, but they are based in a catchment area with a population of circa 370,000 people, although the club is practically invisible in some parts of the Kingdom. If you head west to Dunfermline, there is a perception that Flyers are purely a “Kirkcaldy club”, a situation that surely has to be rectified if we are to truly grow as an organisation. Fife Leisure Park, Kingsgate Shopping Centre and even Carnegie College are all potentially goldmines in terms of attracting new fans. 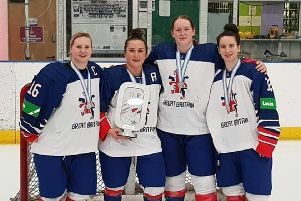 We all know that the club have a sponsorship agreement with Abertay University, but I would still like to see the club approach St Andrews/Stirling/Napier/Edinburgh/Heriots to try to appeal to the vast array of nationalities who attend these institutions to attract students to games. In my personal opinion, the club also need to approach the large Eastern European population living in Fife. There is a huge interest in the sport within those countries, but when was the last time you heard an Eastern European accent at the rink? Contacting the Polish Club in Kirkcaldy to gauge interest would be a starting point. Engagement is the key. Perhaps the club should try and make game-nights more affordable and practical for families? There is an abundance of people I have spoken to with children that have to pick and choose their games for financial reasons. I would hope that to see consistent crowds, you have to appeal to your surrounding demographic. The club has improved so much off-ice over the years, but it’s going the extra mile to maximise our historic clubs potential and to see the return, eventually, of the ‘Great Night Out’ .